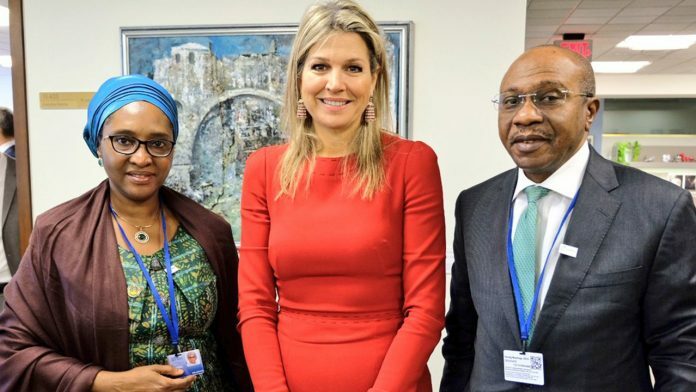 At an interactive session in Washington, Emefiele said investors’ burgeoning confidence in the Nigerian economy brought more than $5bn investment into the country between February and March 2019 during the last elections, when they should have been in panic mode. He assured foreign investors of safety of their investments, as a safe repatriation programme is in place should the need arise for it. 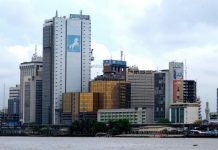 “Nigeria is indeed open for business and the CBN and Federal Government welcome foreign investors. On CBN’s part, we will continue to do as much as possible, the good things that earned us commendations of IMF/World Bank at the Spring Meetings for maintaining foreign exchange and price stability, as well as containing inflation and building a robust foreign reserves,” the CBN Governor said. At another forum in Washington, Ahmed equally assured global investors of Nigeria’s readiness for business, saying her ministry has improved significantly the ease of doing business. The CCA conversation featured presentation on Nigeria’s 2019 economic outlook. Ahmed said Nigeria was driving reforms in several sectors, which would positively impact private investors. 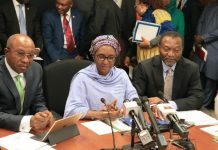 “Nigeria’s Economic Recovery and Growth Plan targets investments in critical infrastructure and human capital development, as well as enhance food security, foster industrialisation, create jobs and facilitate the ease of doing business” she said. On restoring growth, she explained that macroeconomic stability and economic diversification (agriculture and food security), mining and minerals remain priority. She noted that investing in the Nigerian people means social Inclusion, job creation and youth empowerment.